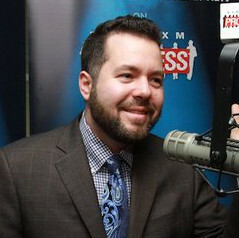 Ari Rabin-Havt is host of The Agenda, a national radio show on SiriusXM. His articles appear in USA Today, The New Republic, The Nation, Salon, and The American Prospect. He co-authored The Fox Effect: How Roger Ailes Turned a Network into a Propaganda Machine and Lies, Incorporated: The World of Post-Truth Politics.